A congregational digital license for the piano and SATB arrangements of select tracks from Dr. R.C. Sproul’s new sacred music project, Saints of Zion. Musicians and congregations can join in the worship of our great God through the music of Saints of Zion. 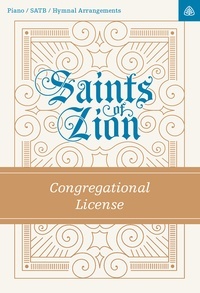 Saints of Zion features fourteen hymns from the album arranged for piano and SATB choir as well as eleven shorter hymnal arrangements that are suitable for congregational singing or family worship.